Niger has been increasingly playing a pivotal role in the global struggle against jihadism since the terrorist threat has been quickly shifting from the middle-east to Africa. The special forces of the Sahel country are being trained and supported by Western military personnel. The doctrine consists of rolling back and eventually destroying the jihadists in their own desert sanctuaries, even beyond Niger’s borders. Major-General J. Marcus Hiks, Commander of SOCA, says: “All of my African partners here will tell you that the collapse of Libya is absolutely causal in increased instability across the region, the flow of weapons and trained armed militias has destabilized Northern Mali and continues to feed the terrorist groups across the Sahel." 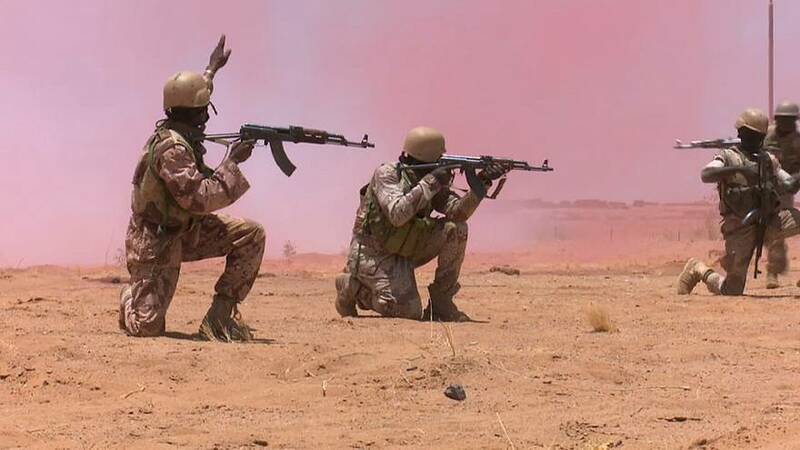 According to Western strategists, Niger could become the junction of Jihadism that connects war-torn Mali, and terrorist groups such as Boko Haram from Nigeria, Al Shabab from the Horn of Africa and the ISIS members sheltered in their Libyan strongholds. The US is increasing its presence in Niger, along with France, the former colonial power in this area, Germany, the UK, Italy and other western countries. The aim is to contain illegal immigration and eradicate jihadism, two relatively associated phenomena that, according to military analysts, are undermining the stability of Europe. They operate in partnership with the African regional powers such as Nigeria and Chad. These countries joined the 2018 Flintlock, military exercises that were supposed to build mutual confidence among the participants. Says Colonel Razak Ibrahim from the Niger special forces: "The traditional extremists groups use the immigrant network because immigrants and refugees are very very vulnerable and easy to recruit. The jihadists take advantage of that situation to infiltrate all the countries thanks to them." The goal of the current Niger’s government and its western supporter also consists of sealing the borders with Libya, through which human traffickers and terrorists share the same routes and, often, the same business. "The whole criminal economy is feeding the terrorism, says the NIger Defence Minister, Kalla Moutari. Those who take the immigrants to go to Libya, they come back with the arms. They are also involved in drug trafficking. The fight on terror is also about relying upon local law enforcement structures. According to the US State department, that’s a fundamental confidence-building measure that is needed to conquer hearts and minds of local people. The Northern Niger city of Agadéz has been a strategic crossroad for any kind of illegal activity since the collapse of Libya in 2012. It offered a safe trail to the terrorists, it represented an alternative route for drug smugglers and provided an easy junction to human traffickers. The Red Horses, the USAF engineering unit, is constructing in Agadez an airfield to become operational from early 2019. It will be formally an air base of Niger, but the US will use it for their own military aircraft. Agadez airfield is supposed to host the Americans RPAs (drones) MQ-9 Reaper. They are to be used mainly for recce missions. But according to a bilateral agreement between Washington and Niamey, the drones can also carry weapons in case of need, once they have been given the green light by the government of Niger. Activist Kaka Touda says: "They are carrying out military operations, they have drones, planes, and soldiers on the ground. But as long as they don't have the civilian population on their side, the foreign forces will be useless and ineffective. Because they didn't earn the trust (of the local population) first." The EU is particularly concerned, Brussels thinks that terrorism and illegal immigration could become a lethal mix for its own stability and eventually survival. Raul Mateus Paula, The EU ambassador to Niger, says: "Europe's security depends on what happens here. It's very important because you see very well that Europe was threatened by terrorism, attacks, drug and human beings trafficking." Police and military missions are the key to safeguarding European security against terrorism, illegal immigration and crime. But locals demand jobs, human development and economic opportunities. The EU and the USA will have to show that security and development are compatible.